You acknowledge that all of the content featured or displayed in this website, including but not limited to text, graphics, data, photographic images, moving images, sound, illustrations, software, selection and arrangement thereof and other information belongs to Clé de Peau Beauté. All elements of this website are protected by copyright, moral rights, trademark and other laws relating to the protection of the Intellectual property. Users will not exercise moral rights. Users do not have the right to demand value about the reversion of the right concerned and the abandonment. 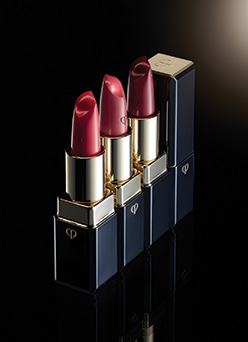 You may not use Clé de Peau Beauté logo or other proprietary graphic of Clé de Peau Beauté to link this site (or any other site) without the prior written permission of Clé de Peau Beauté. When you access or use this website, the following behaviors (including attempted behaviors) are prohibited. (1) To post, upload, transmit, distribute, store, create or otherwise make public through this website any message, comment, data, document, file, information, text, music, sound, photos, graphics, code or other material that is unlawful, libelous, defamatory, obscene, pornographic, harmful to minors, indecent, lewd, suggestive, harassing, threatening, invasive of privacy or publicity rights, abusive, inflammatory, in breach of an obligation of confidentiality, fraudulent or otherwise objectionable or that Clé de Peau Beauté has reason to believe is incorrect, inaccurate, or misleading. (2) Acts of infringement of the rights and interests of Clé de Peau Beauté, other users, or third parties. (3) Acts of slander, insult, defamation of honor, breach of trust, violation of privacy, disclosure of private information (including email addresses, phone numbers, addresses, and identity numbers which can be used to identify particular persons affiliated with Clé de Peau Beauté, other users or third parties) or acts of obstructing business of Clé de Peau Beauté, other users or third parties. (4) Acts in violation of applicable election law or political campaigning. (6) Acts of invitation, solicitation, or advertisement to investment, donation, funding, or purchasing goods or services, etc. (7) Acts of introduction to or invitation of viewing other websites which are judged as inappropriate by Clé de Peau Beauté or acts of use such as the file download of this website. (8) Acts of commercial diversion of the information from this website. (9) Acts of sending viruses or harmful programs or files, corrupted data, etc., which impede the normal function of the computer software or hardware to Clé de Peau Beauté, other users or third parties. (10) Acts of publishing information or contents which have no legitimate authority against this website. (11) Acts of impeding the use or provision of this website by Clé de Peau Beauté, other users or third parties. (12) Acts of accessing by unfair practices such as hacking or acts of monitoring or copying all or part of this website. This website are provided "as is" and Clé de Peau Beauté's directors, employees, and affiliates exclude, to the fullest extent permitted by applcable law, any warranty, express or implied, including without limitation, any impled warranties of merchantability, satisfactory quality or fitness for a particular purpose. Clé de Peau Beauté will not be liable for any damages of any kind arising from the use of this website, or the availability of the same including but not limited to lost profits and direct, indirect, punitive, special and consequential damages. The functions embodies on or in the materials of this website is not warranted to be uninterruppted or without error. Clé de Peau Beauté make no warranty that this website free from infection by viruses or anything else that has contaminating or desructive properties. Clé de Peau Beauté make no representation or wararnties as to the content of information from users throuth this websiteas to such information's accuracy, correctness or reliability. 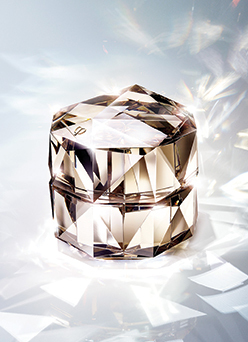 Clé de Peau Beauté disclaims any libalitity in connection with such information or for damages arising out of your reliance on such information. In no event shall Clé de Peau Beauté, its directors employees be liable for any direct, special, indirect or consequential damages or any other damages of any kind, including but not limited to, loss of use, loss of profits or loss of data, whetehr in action in contract, tort (including but not limited do negligence) or otherwise , arising out of or in any way connected with the use of this website, including without limitation, any damages caused by or resulting from your reliance on any information obtained from this website or that result from mistakes, omissions, interruptions, deletion of files, errors, defects, virus, or not resulting from act of god, communicatinos failure, theft, destruction or unauthorized access to this website. In no event shall Clé de Peau Beauté's aggregate liability, whether in contract, warranty, tort(including negligence, wheteher active, passive or imputed), or other theory, arising out of or relating to the use of this website exceed any compensation you pay, if any, to Clé de Peau Beauté for access to or use of this website.